The leading German news agency, dpa (Deutsche Presse-Agentur), quotes an official Apple statement according to which the company has just removed, as a result of an injunction Motorola won in Mannheim over a FRAND-pledged patents declared essential to an industry standard, several 3G/UMTS-capable products from its German online store: the iPhone 3G, the iPhone 3GS, and the iPhone 4 (but not the iPhone 4S), and all 3G/UMTS-capable iPads. “Even if some iPad and iPhone models are currently not available in our online store in Germany, customers should have no problem finding these devices in our stores or from authorized dealers,” said an Apple spokesman. 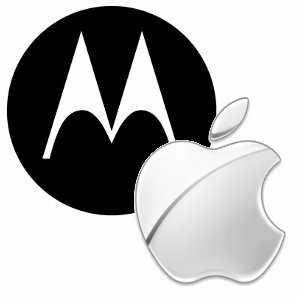 Apple goes against the injunction, because Motorola has repeatedly refused to license the patent at issue on acceptable terms, although it has been held seven years ago to a so-called industrial patent. Motorola has accused Apple infringes an earlier patent mobile – which leads for the iPhone maker to take action against the District Court judgement – the order of the court results directly against the company international sales in Ireland, which operation from Apple online store in Europe. The dispute really results badly for the iPhone maker suffered a crushing defeat.